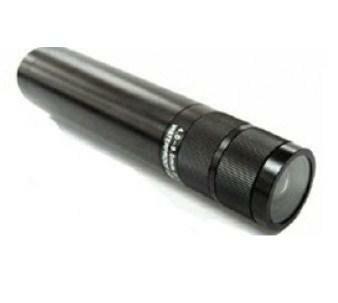 The PV-AC12 is a DVR that is disguised as an AC adapter that works with any 12V camera. 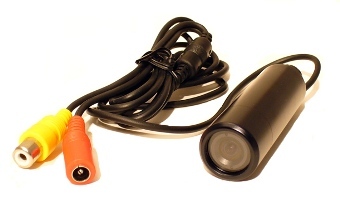 This DVR is easy install and to use -- simply insert an SD card, connect a camera, plug the DVR into the wall and the camera will begin recording as soon as motion is detected! 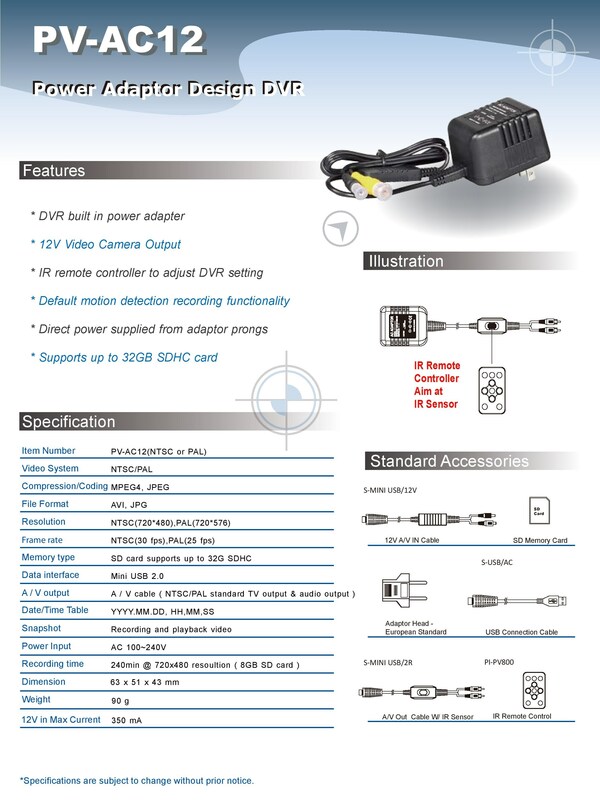 The displayed shipping price is for '1' Wall Power Charger Covert 12V Motion Detection Recorder DVR. To find the shipping cost for all your items, please view your cart.